Go straight to the party from the gym with these easy pro tricks. The key step to this blowout-preserving style: The second you finish your workout, before you even hit the locker room: “Remove all excess oil and sweat from the hair, and pull it off your face if you worked out extra hard,” says Christian Ceja-Compin, professional hairstylist and Oribe educator based in San Francisco. A quick towel-blot will do the trick. 1. Part your hair with a comb (or your pinky finger) on a slightly diagonal angle, just off center on either side. The idea is to change up the part from whatever it was before your workout, so that you find a fresh spot that’s less sweaty and more smooth. 2. Use a matte finish dry shampoo (Ceja-Compin likes Oribe Swept Up Volume Powder Spray) along the top, center portion of the head, where you tend to get the sweatiest. Use your fingers to massage the product into your scalp to soak up sweat and add a touch of volume. 3. 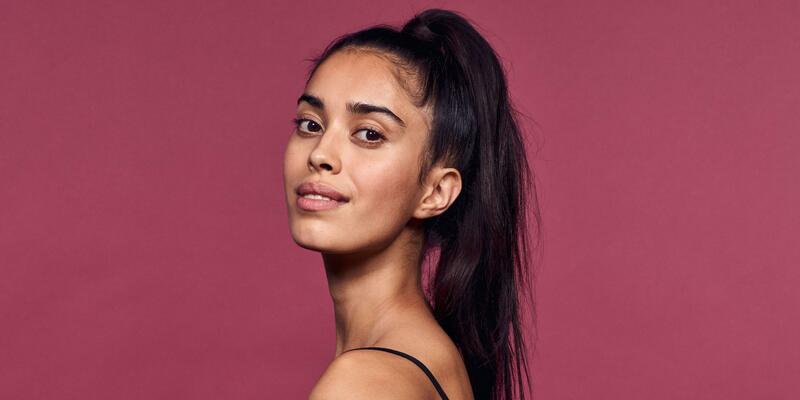 Use a brush (or your palms) to lightly smooth your hair down on each side, starting at the front, and finally gathering your hair into a low, slightly loose ponytail back behind your ears, securing with an elastic band. 4. Finish with a lightweight shine spray for a little extra polish. When you really need to wash your hair, but don’t have time for a blow-dry, this style is a good solution. If your hair tends to fall flat or lacks texture, you’ll especially love the extra volume this quick method creates. 1. Towel-dry your hair as much as possible, then flip your hair over and apply a little texture lotion and a light moisturizing oil along the base, mid-shaft, and especially on the ends of hair. 2. Use your hands to “scrunch” the product into your hair, section by section, so that your hair is thoroughly coated and naturally forms light waves. 3. Lift your head back up, finger-part your hair as you wish, and allow to air-dry as you finish getting dressed. This topknot is still a quick fix for hair, but a few pro tweaks make it look extra polished. 1. Before you begin your workout, apply a pearl-sized amount of moisturizing leave-in cream around the hairline and smooth hair back into a ponytail. This will help “set” your hair pattern in the direction you intend to style it later on, which can be especially useful for anyone with cowlicks. 2. After your workout, apply a nickel-sized amount of styling cream on the mid-shaft and ends, massaging only the leftover bit on your hands into the roots. 3. Use a brush or comb to section off the front portion of your hair, brushing it forward from the crown of your head. Grab the rest of the hair (sides and back) and secure into a high ponytail. 4. Now, brush the front section back and gather it and the ponytail into your hand (adding the front section separately helps to add a little more “lift” than you get when you pull back all sections at once). Twist the front section and ponytail together into a topknot and secure with an elastic band. 5. Add a shine spray to finish the look and keep flyaways at bay.